Spending time in the great outdoors can improve our overall health and wellbeing. Whatever the weather, according to research, being in the great outdoors makes us happier. Being outdoors can offer relief from the stress of our every day busy lives, improve health and boost our immune systems. According to a study by Glasgow University, those who walk, run or cycle in nature had a lower risk of poor mental health than those who worked out indoors. When it comes to children, not only do they love being outdoors and enjoy the adventure of exploring parks, it can help with their concentration and focus when they are studying and can improve their sleep. In addition, exercise is important for maintaining a healthy weight, so preventing disease linked to obesity such as diabetes. Living in East Renfrewshire comes with the added bonus of various tempting opportunities to spend time outside whatever your preference or abilities. 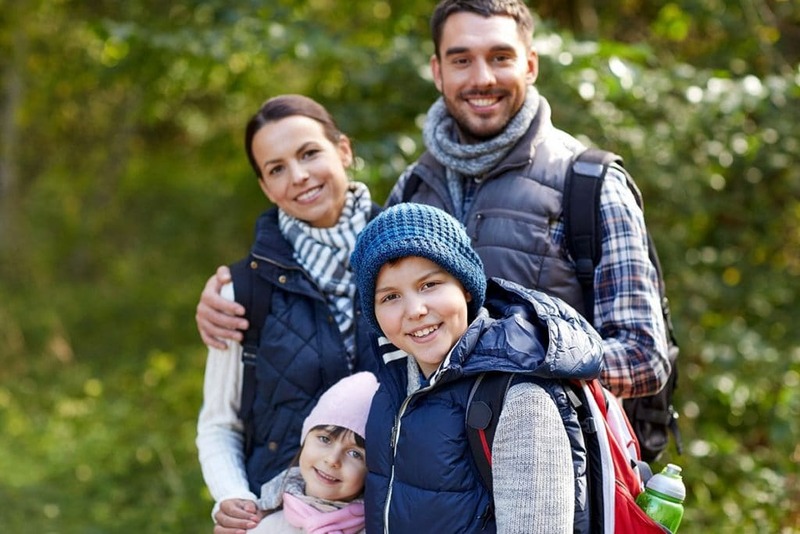 From playing golf on amazing local courses, taking the kids out for a (muddy) walk, running or cycling, as well as exploring wild life – there is something for everyone within easy reach. East Renfrewshire offers access to some of the most beautiful golf courses, parks and gardens – including Rouken Glen, Newlands Park, Greenbank Gardens and the Dams to Darnley Country Park. Just scroll through our selection of gols courses and parks to decide on your next outdoors exploration. One of the best ways to get outdoors for a good walk is to play golf. Here in Newton Mearns we are surrounded by excellent golf courses including Mearns Castle Golf Academy, Whitecraigs Golf Club, East Renfrewshire Golf Club, Eastwood Golf Course and Cathcart Castle Golf Club. The most popular park in the area is Rouken Glen. It is an historic 143-acre park dating back to the sixteenth century. Not only does the park feature a beautiful walled garden, duck pond, newly refurbished children’s play park, skate park, garden centre, café restaurant, soccer club, woodland and waterfall walks, it also has outdoor fitness equipment dotted around the park so you can get a great workout in addition to simply walking or running. Greenbank House and Garden in Newton Mearns is a National Trust house and Garden dating back to the 1760s. It has a beautiful walled garden with a water feature, Victorian greenhouse and ponds, a courtyard café where you can purchase plants and flowers, outdoor games and musical instruments for children. In addition, the house and gardens are surrounded by pretty woodland, which provides a gentle, quiet walk. Newlands Park is just a ten-minute drive from Newton Mearns and features pretty open spaces with well-maintained paths and pretty flowerbeds. It has the ‘dog friendly’ Dandelion Café with a kiosk for takeaway drinks and it also has tennis courts and a small play park for children. Dams to Darnley is a new country park covering over 1350 acres of green space around East Renfrewshire, covering the greenbelt land separating Barrhead, Darnley and Newton Mearns. It features reservoirs, large areas of grassland and woodland and all areas of the country park are are Sites of Importance for Nature Conservation (SINC), and are home to a range of different wild birds all year round. The country park provides recreational activities through a network of cycle, walking and horse riding paths. The council is also looking at future plans for non-motorized water sports. What is your favourite outdoors activity in East Renfrewshire? Let us know on Facebook or Twitter – we’ll make sure we mention it to our followers?